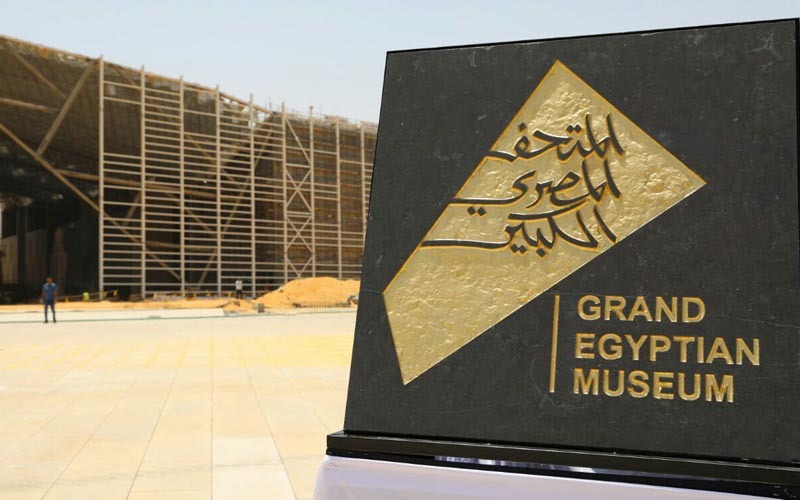 The newly released logo design for the Grand Egyptian Museum (GEM) has resulted in controversy among archaeologists, artists and architects. Its detractors think the logo ugly and devoid of relation either to Egyptian identity or to GEM, whose construction in Giza is geared to make it a monumental landmark. They also accuse the GEM authority of preventing professional artists from submitting a design. Meanwhile supporters of the logo describe it as branding on a level with equivalent logos in Britain, Paris, Germany and the United States. The logo is described as appropriate to the architectural design of the GEM, and a choice in line with modern graphic design. 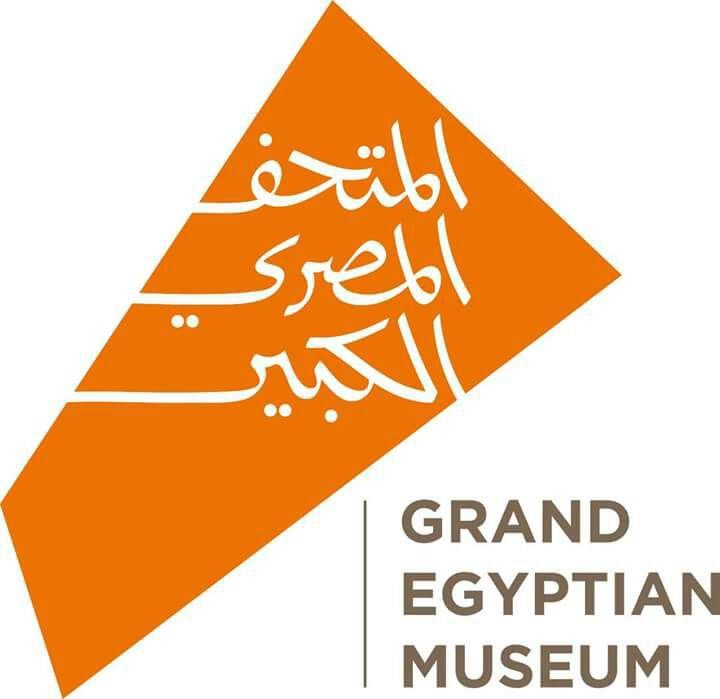 Artist Mohamed Abla told Ahram online that the Ministry of Antiquities should have launched an international competition for the logo design of GEM, and could have offered the winner and their family a month-long free visit to the museum as well as free accommodation in Egypt as a reward, rather than a sum of money. "Millions of artists would have contributed entries to a competition like this," he asserted, adding that a committee of pioneer artists and graphic designers should have been assigned to evaluate the submissions. 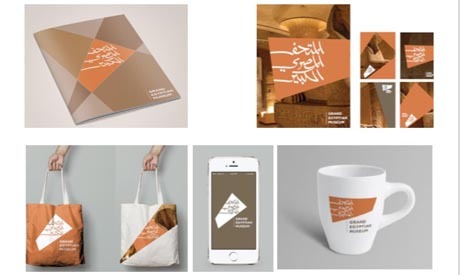 A statement from the Arabic Society for Fine Art Designers said that the design of the logo does not abide by the integrities and principles of effective design, nor does it showcase Egypt's great and ancient civilization. The society offered to help the ministry of antiquities to organize a competition among arts and graphic companies, both locally and internationally, to select a different logo for the GEM. The logo also came under fire on social media as several artists and intellectuals thought it failed to communicate the significance of GEM. GEM General Supervisor Tarek Tawfik told Ahram Online that the GEM logo will be used in promotional campaigns in Egypt and worldwide, allowing the branding, marketing, and advertising of GEM on a grand scale. According to the museum's interior designer, Atelier Brückner from Stuttgart, the logo is inspired by the architectural plan, structure and the surroundings of the museum. "It reflects the unique footprint of the GEM complex in an orange colour, conveying the warmth of the evening sun which imparts this colour to the sandy landscape before setting in the west behind the museum," Tawfik told Ahram Online. He added that the name of GEM, written in Arabic script is designed to reflect the sandy dunes and peaks of Egypt, whilst its simple calligraphy resonates with that of equivalent logos in famous international museums such as the British Museum in London, the Louvre in Paris and the Metropolitan in the United States. He pointed out that responsibility for the logo's design falls within the remit of the German company responsible for the interior design and exhibition set up of the galleries in GEM's first phase. The company won the contract in an international competition, whose 12 participating companies came from eight different countries. A committee including pioneering Egyptian artists, architects and archaeologists selected the new logo after reviewing a number of designs submitted by the company. Atelier Brückner is a German company which conceives and designs narrative architecture for brands, exhibitions, trade fairs and museums. The German company offered a number of proposals for the design to the committee, some of which used traditional Pharonic images such as amulets and pyramids. The committee ran with a modern abstract form to match current marketing trends, in an attempt to target new and younger generations, and to steer away from the traditional images available for consumption. Speaking to Ahram Online, Former Minister of Antiquities and famed archaeologist Zahi Hawass stated that he understands "the fierce objection of Egyptian intellectuals to the design of the GEM logo. They consider the GEM not only as a major Egyptian cultural project, but the cultural project of the century." He added regretfully that they misunderstand the philosophy behind its selection, going on to say that international museums always use simple logos, without a visual indication of the museums' treasured collection. 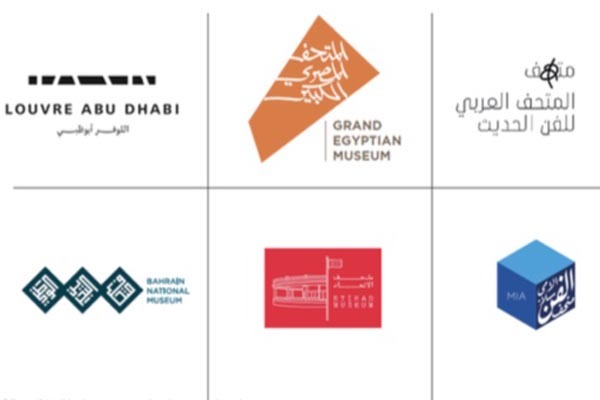 Hawass believes the selected logo should be used as a promotional tool for marketing the GEM, until the museum's final inauguration in 2023. The Ministry of Antiquities could then launch a new international competition to select a final logo for the GEM, with the participation of Egyptian and international artists, Hawass adds. "All of France was against the Eiffel Tower France, describing it as an ugly structure that didn't reflect French identity and spirit," professor of Architecture at Cairo University Dalila El-Kerdany told Ahram Online. "I am really happy that such controversy has arisen: it's good publicity for the logo." The design of the logo reflects Egypt in general, she stated, as it shows the plan of the GEM, its location in the surrounding desert, and the Arabic calligraphy inscribing its name reflects our distinguished culture. The final form is far from complex in order to make it simple to use and to leave a good visual impact. 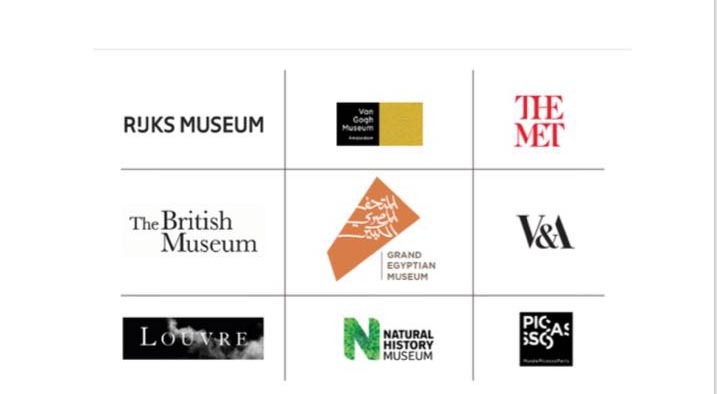 According to El-Kerdany the committee reviewed the logos of other international museums during the selection process, and previewed the logo on all the promotional products to be used in the museum's marketing campaign. She concluded that the simple design and orange colour were very attractive.